Sidekick is an excellent companion light for GoPro cameras The Sidekick provides a wide and smooth light at a powerful 600 lumen beam to complement the camera in low light or backlit conditions. When you need a strong fill light, the Sidekick can make a huge difference in the quality of your images. Sidekick is the perfect companion light for GoPro cameras. 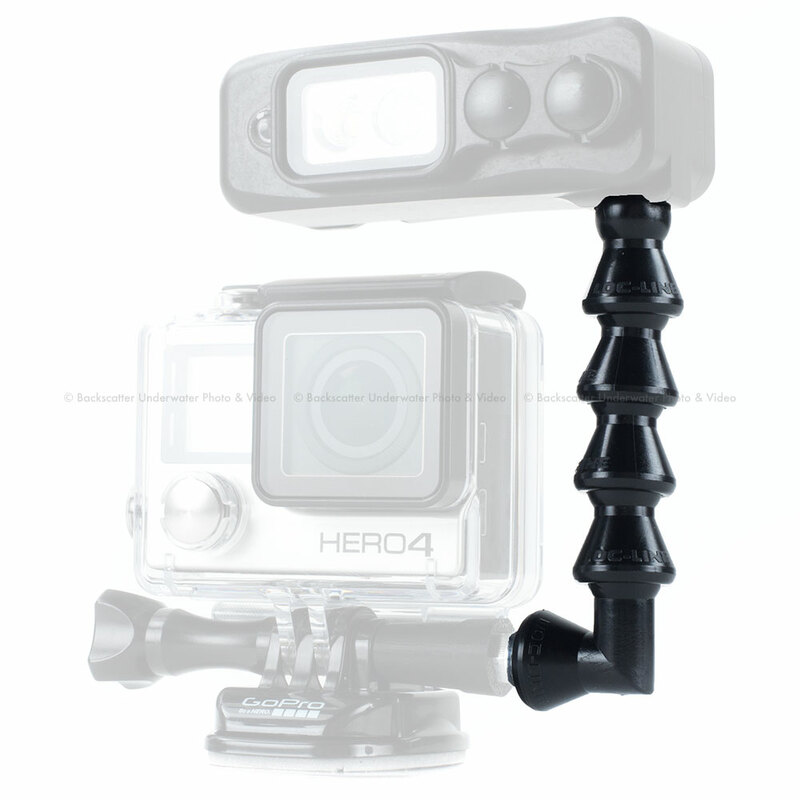 It is the smallest, lightest and most powerful light to mount with a GoPro. Sidekick is a companion light for GoPro cameras that provides a wide smooth 600 lumen beam to complement the camera in low light or backlit conditions where a strong fill light can make a huge difference in the quality of the images. The key design drivers are light weight, powerful wide flood beam, and seamless mounting to allow Sidekick to go wherever a GoPro camera goes. To keep it lightweight, Sidekick uses Li-ion rechargeable battery delivering the best power to weight ratio and top of the line Cree XM-L U2 LED. In order to handle the wide range of environments the Sidekick is completely waterproof and can handle pressure up to 200 feet underwater. Charging is external so the user never needs to open or compromise the lights seal. What are the key features of Sidekick? Sidekick delivers a powerful 600-lumen flood beam for a full hour and is certified to the FL-1 standard. Sidekick mounts next to the camera with a simple, secure, low-profile arm that works with all existing GoPro mounts. The Sidekick Duo adds a 400-lumen spot beam that is great for navigation. The two-button control makes adjusting on the fly fast and easy. The flood beam is super smooth and wide for capturing great images. Sidekick is factory sealed and waterproof to 200 feet. You never need to open it. Charging is external with a slide-on USB adaptor.